A convenient and fun way to keeps hands germ-free with these wonderful aromatic hand sanitizers designed especially for kids. With Aloe Vera as an ingredient, these sanitizers keep the hands soft and being gel based are non-sticky. Pocket friendly and best for on the go travel. Fruity and floral fragrances will make this product one of your favourites. 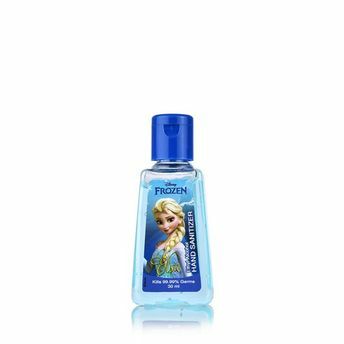 With an attractive Elsa design, it's sure to delight any Disney fan.